SAND & DIRT evolved after a trip to the National History Museum in New York. I love the scientific aestheric of the Hall of Biodiversity, where its thousands of specimens, from tigers to fungi, are cataloged and presented. soon I was eyeballing the collection of sand my daughter and I had picked up in our travels. 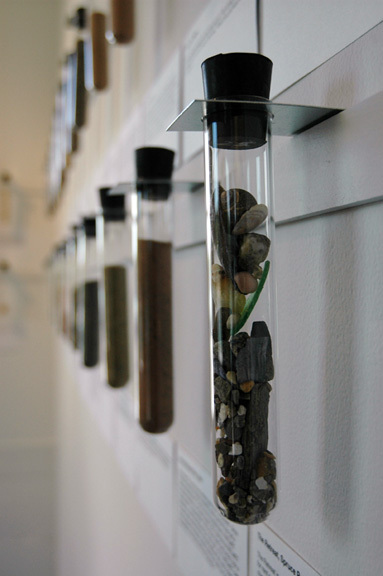 I started to write a mini biography to accompany each vial of sand. Moving from one sand memory to the next it was becoming more and more evident how we are all linked to landscape -- to place and to time. In short order, the sand and 100 attending biographies took on the form of a generational portrait without paint.